Twenty-five years ago this December, moviegoers met the Threadgoode family of fictional Whistle Stop, Alabama, in the film Fried Green Tomatoes. 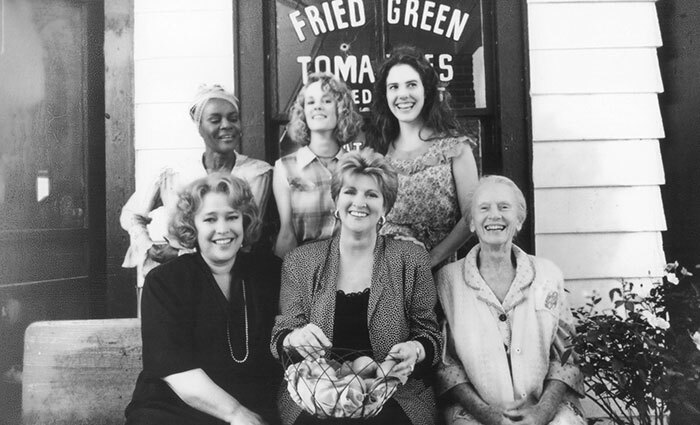 Writer Fannie Flagg recalled memories of visiting family in Irondale, Alabama, when she wrote the screenplay and its basis, the best-selling novel Fried Green Tomatoes at the Whistle Stop Café. Fans have made the intergenerational tale—with its endearing characters and memorable scenes (“Towanda!”)—a Southern classic. 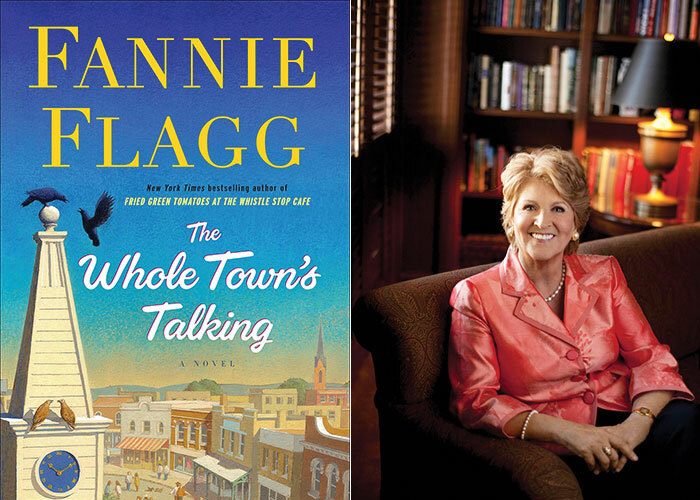 We spoke with Flagg about the anniversary of the film and her latest book, The Whole Town’s Talking, which comes out this week. You published Fried Green Tomatoes at the Whistle Stop Café in 1987 and the film came out in 1991. The book spent 36 weeks on the bestseller list and the film was nominated for two Oscars. Looking back, could you have ever guessed how successful both would be? I was the most surprised of anybody. I barely got the thing published. I sent a little synopsis to what must have been twenty different publishers and they said, it’s sweet, but we don’t think people would be interested in reading about an old lady and a nursing home. But I kept writing it and the last person to read it, at Random House, said “We’ll publish it.” And right away I heard a producer wanted to make it into a film. The good news about when you have a hit like that is you get a contract for more books. If Fried Green Tomatoes had tanked, I don’t think I could have written another book. How did you help translate Fried Green Tomatoes to film? I got a phone call from [director and producer] Jon Avnet, who wanted to make the book into a film. And I said, “Oh my gosh, I don’t know how you can do that because there are about a hundred characters.” He said he wanted me to write the screenplay, and I told him, “I can’t do it. I’m too close to it, I wouldn’t know who to feature and what parts to cut.” But I had a friend, Carol Sobieski, who took it on and wrote the first draft. When she called me to tell me she was ill and not able to continue, Jon asked if I would write the second draft. I said okay, because she had already done all the hard work. When we got the thing released, lo and behold, it was a huge hit. It was supposed to be just a little film for old ladies. Why do you think people connected so deeply with the story? It captured a moment in time when people pulled together and took care of their families. The brilliance of the director was to make you care about those people. Hollywood misses that today when they make films about people you’re not invested in. What’s your favorite scene from the film? How did your upbringing in the South play a role? This movie showed the South in a different light than it had been shown. Particularly during the Depression, people pulled together and loved each other. I can remember my mother telling me that when she was going through hard times, she couldn’t have made it if it weren’t for her female friends. I wrote Fried Green Tomatoes based on stories I had heard from her and my great aunt, who ran the café in Irondale, Alabama. She was so funny. She was a scream. And everybody adored her. And her sister, my grandmother, was very funny. That’s the thing I love about the South: Everybody is a character. We love to talk, and the weather is conducive to sitting around on porches and talking. Without giving away too much, there’s more of that storytelling culture in your new book, The Whole Town’s Talking. There’s even a ghostly element. What inspired that? This is my tenth book, and when I was writing it, I realized it was hard to say goodbye to my favorite characters. Just like in real life, it’s so hard to say goodbye to people that you love. I’m of an age where I’m losing friends. And I’ve thought, gosh, I wish they weren’t gone. So being a fiction writer, I thought, I’m going to keep them going. Share a little about the setting of The Whole Town’s Talking. I set my book in Missouri because to me, Missouri is middle America. It has the charm of the South, and the pioneer spirit of the West. The book shows the history of the town beginning in the 1800s and ending in the future. I wanted to capture the history of typical small-town American life just to have it on record, because we’re losing it. Small towns are being eaten and becoming suburbs to bigger cities. So the book addresses how progress affects people? One character says they have lost a sense of community. And another character talks to her mother and says it’s the greatest time ever. To me, we have lost some things, but if you think about the strides we’ve made socially, like for women, or the advances we have in medicine, it balances out. I try to check myself when I say, “Oh things were better back then,” because I realize things are better back now. When people spend time with their own loved ones this holiday season, any advice on telling family stories? The most important thing is to remember the funny things that have happened in your life and dwell on those. Try to talk about stories that show the best in your family, and try to love them even though some of them are jerks. Give them a break. And stay away from politics. Everything Country is your #1 source for country music news, music, new artists, food, recipes, reviews, events, shopping and more. Pick Up Trucks: Jacked-Up or Tacked-Up?